The marketing guru’s claim that Indian is authentic, was born with a dedication for pure performance and now are adding even more capability. First a bit of history — the first Indian Motorcycle was sold to a retail customer back in 1902, but I’ll spare you a 100+ year recap of the motorcycle. In modern day history, the Indian Motorcycle brand has been part of Polaris Industries since 2011, and began selling new motorcycles in 2014. 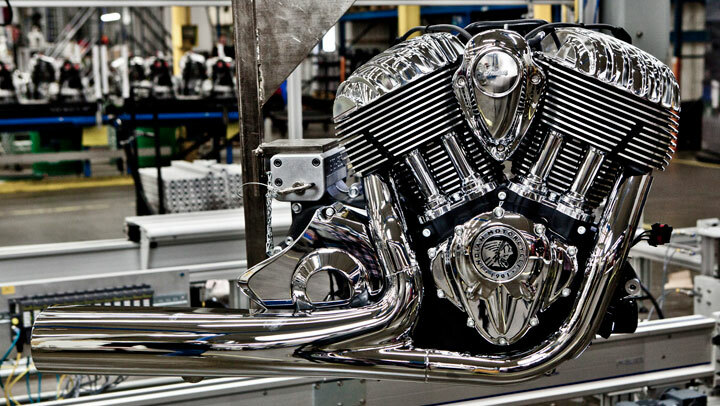 The motorcycles are American made and built in Spirit Lake, Iowa. The are distributed via 200 dealers across North America and nearly 450 dealers globally. You might recall that the Victory Motorcycle brand, was recently shuttered by Polaris and ceased production. To the dismay of many, many satisfied customers, it is now winding down operations after 15 years on the market leaving Indian as the only mass-produced American motorcycle brand other than Harley-Davidson. Jump ahead to April 2017 and we learn that Indian has announced expansion of its Chieftain model lineup with the addition of the Chieftain Limited and Chieftain Elite. If you’re keeping track this brings the total number of 2017 Indian models to twelve. It should be noted that the Chieftain was one of the first three bikes that Indian released in 2014, along with the Chief Classic and Chief Vintage. Although model details differ, the bikes share a common platform — engine, transmission and chassis. All three motorcycles come with Indian’s proprietary Thunder Stroke 111 V-Twin engine, cast aluminum frame with integrated airbox, air-adjustable single rear shock and many other shared mechanical features. As it turns out, the Chieftain was the modern-looking of the three, showcasing a unique fork-mounted hard fairing which housed its gauges and electronics, while the Chief motorcycles came with accessory windscreens. The newly announced Chieftain Limited imitates some details from the custom bagger scene. It has a skinny 19-inch front wheel replacing the 16-inch front. The “old-school” valanced front fender has been chopped to follow the design line of the wheel and exposes the mag wheel and oversized dual front brake rotors. There is a sleeker seat design, and the headlight bezel is painted, not chromed, to match the Thunder Black paint scheme. The remaining elements of the Chieftain Limited match the Chieftain feature-for-feature, including the 7-inch touchscreen-operated Ride Command Infotainment/Navigation system and hard saddlebags. For the well-heeled enthusiasts familiar with and looking at a Harley-Davidson CVO (Custom Vehicle Operations) motorcycle, you’ll appreciate the new Chieftain Elite. Let’s start with the 12-layer paint treatment which is built on a foundation of gold paint. Black accents are added with marble textures, and the bodywork is coated with layers of Fireglow Red Candy clear. Yeah, it’s a looker with a stunning paintjob, thanks in part to that brilliant red candy color. Some of you would drop a lot of money with a custom painter to achieve this look, but this one comes direct from the factory. In addition, the Chieftain Elite gets billet floorboards, a flip windscreen, Pathfinder LED headlights and a 100-watt saddlebag audio system. At first blush the Chieftain Elite is a factory custom that will hold its own against Harley-Davidson CVO’s. As to price? The new Chieftain Elite (starting at $31,499) and Chieftain Limited (starting at $24,499). Both motorcycles are feature rich, available now and aggressively priced compared to Harley-Davidson. With warmer weather and longer days on the way, the new Indian Chieftain’s might be the spark of inspiration you’ll need to explore a wide-open two-lane world. 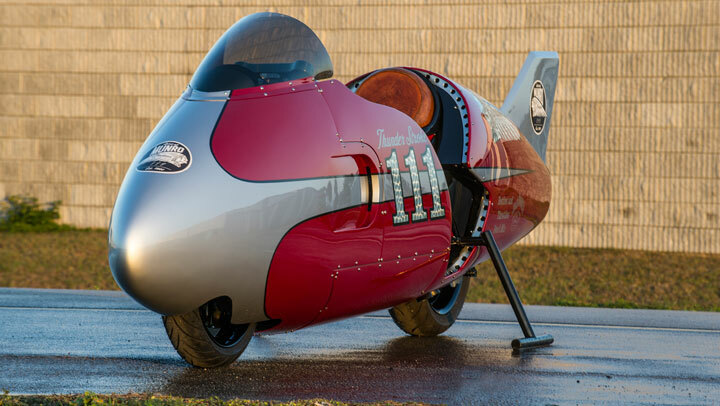 Photos courtesy of Polaris/Indian Motorcycles. In the exhaust business there are tradeoffs between looks and performance. We all know that an exhaust system design has a big impact on engine performance. Header pipe diameter, bend radius, pipe length, muffler volume and design of the baffle all effect performance. We’re seeing a lot of innovation in fabricating from lightweight stainless steel, carbon steel, aluminum, chromoly along with coated high temperature ceramic exhaust systems. 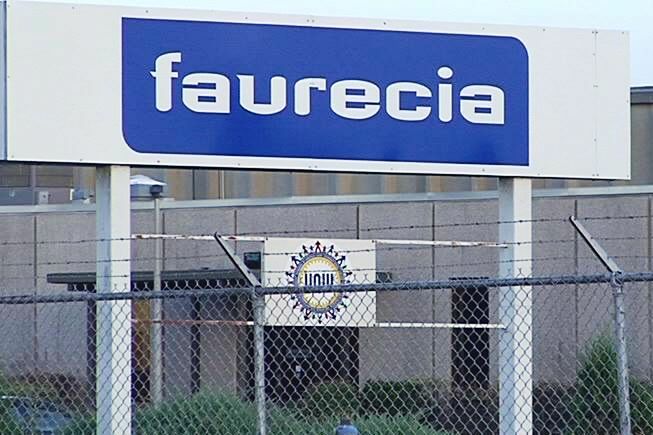 There is a French based company (Faurecia) in the small town of Dexter, Missouri that specializes in emission control technology and manufactures exhaust systems for the auto industry. Through-out the years they’ve also made exhaust components for Harley-Davidson. According to this report, the company recently won a contract to manufacture exhaust systems for the newly designed Harley-Davidson – 2017 “Slingshot” series – which is currently in the planning stage. 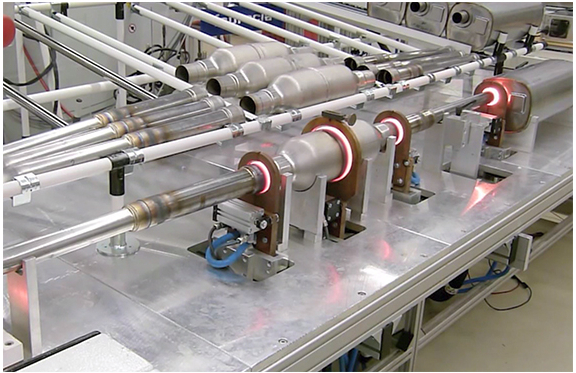 This is an exhaust system for the next generation of Harley-Davidson’s motorcycles and Faurecia works closely with the Harley new product teams to get them industrialized at the Dexter plant. Faurecia is an innovative company and has developed what amounts to “noise-canceling headphones” for tail pipes. It’s not clear if H-D is looking to implement this technology on the 2017 products? I’ve seen reports in 2013 about Polaris developing a (side-by-side) trike called the “Slingshot,” but have no more information on the Harley-Davdison 2017 “Slingshot” series. If I get additional data I’ll update this post. Meaning the company plans a big event, creates loads of new sales tools and collateral and places those important ad campaigns in the trade rags. All the while keeping everything in hush, hush secrecy ‘til they near the big day. Then comes the big ‘Ta Da’. The press release hits the wire, they hold some big chest-thumping events and then start selling, having trained the sales force in the weeks prior. The Indian Motorcycle (Polaris Industries) launch plan is different. Their launch process is a more gradual, momentum-building approach that is often called “Rolling Thunder.” Not to be confused with the Rolling Thunder® Inc., and POW/MIA topic, the rolling product launch approach dribbles out information, builds credibility over time, creating anticipation, and leverages social media to feed the various channels and momentum. Case in point is the dribbling out of key information from Indian Motorcycle. First up at Daytona Bike Week was the reveal — a release of information about the new 111 cubic inch engine, called Thunder Stroke 111™ made in Osceola, WI and assembled at the Polaris plant in Spirit Lake, Iowa. Next up was the back story of the custom-built streamliner named “Spirit of Munro” and then last weeks announcement of their intent to unveil the new 2014 Indian Chief motorcycle at the 73rd Sturgis Motorcycle Rally followed with a sneak-peek video and the subtle announcement (HERE at 0:43) of the $18,999 price. The previous Indian Chief sold in the $26-$37K range and the previous owners may stare at that in slacked-jaw envy! Clearly the supply-chain scale and negotiation mojo that Polaris brings to the Indian table brought better component pricing and improved labor rates. The Indian brand dates back to the early 1900s. Polaris acquired it in 2011 and 27 months later will release a new classic motorcycle line. Polaris continues forward with their Victory 15-year old brand of motorcycles. They each draw on different customers. I’m not sure how many more “dribbles” they have planned, but the press buzz and excitement of the launch in social media circles is clearly throttling up. Photo’s courtesy of Indian Motorcycles.